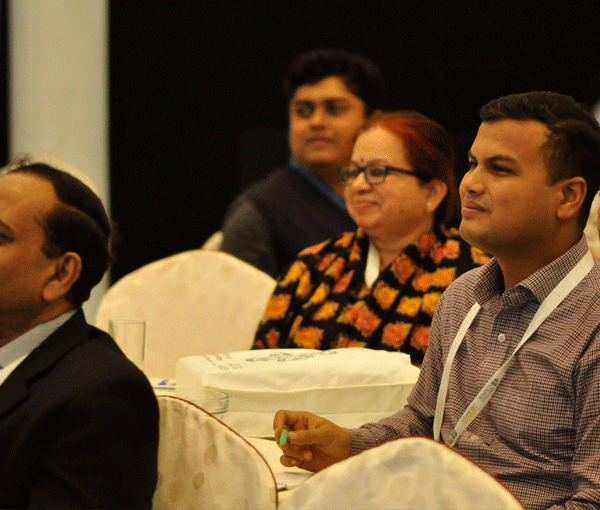 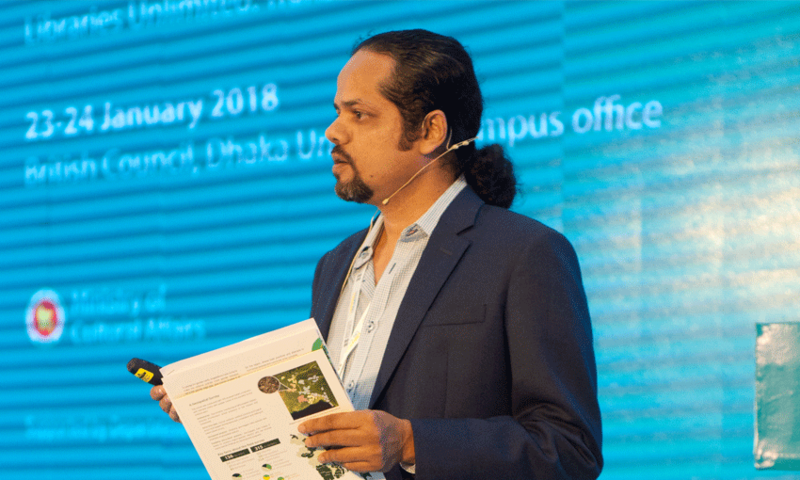 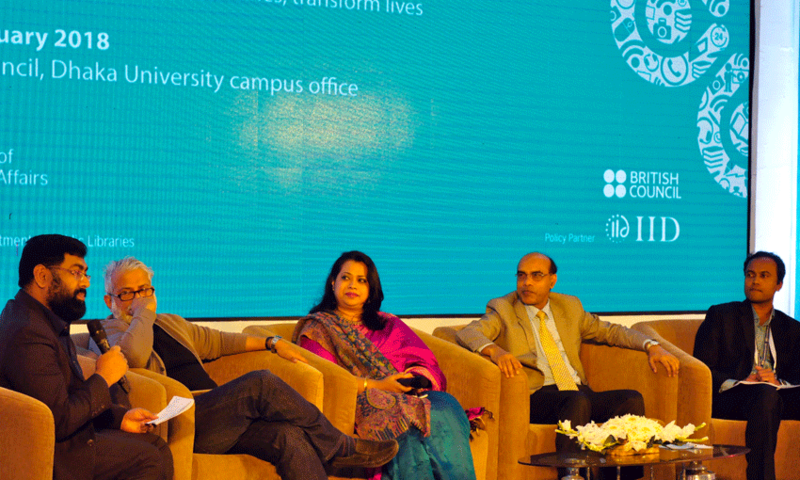 The conversation on libraries is fast changing from frustrated musings to dreaming large, with a series of library modernization programs underway in Bangladesh, mentioned the speakers at a policy dialogue on Libraries Unlimited. 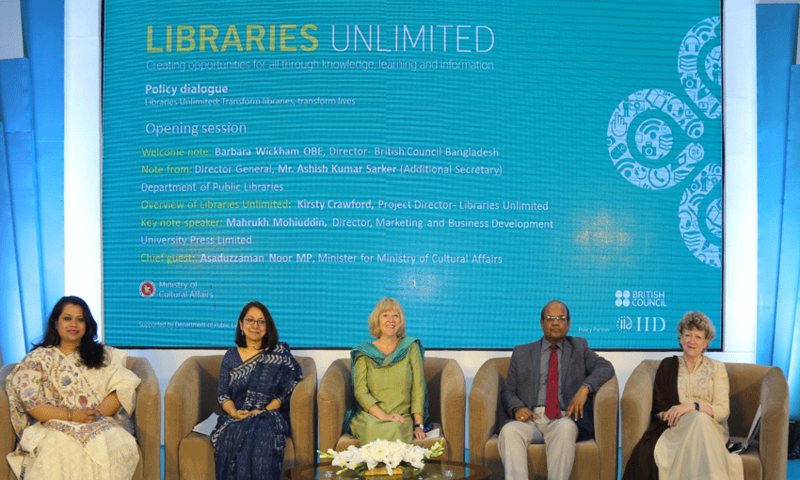 With a number of large projects, including the Libraries Unlimited project, being implemented under government and non-government initiatives, the tide seems to have turned for the libraries. 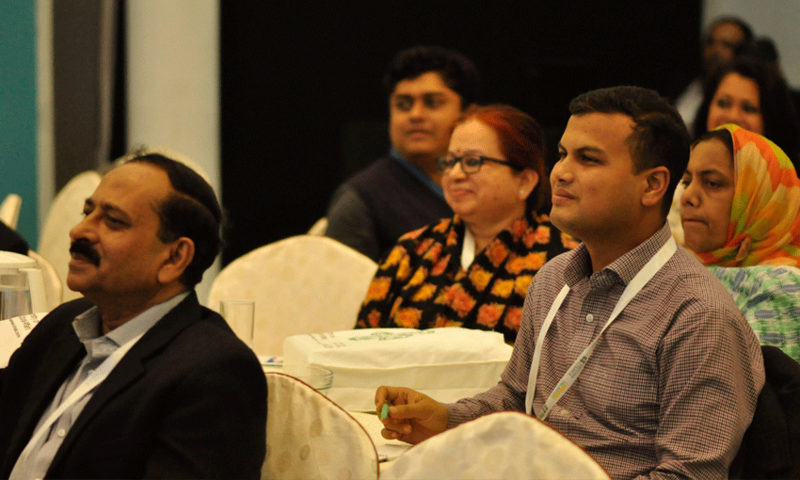 The Policy Symposium was a culmination of findings from the policy breakfast and policy forum series where various stakeholders of libraries were consulted across the country for the duration of 23rd and 24th of January 2018. 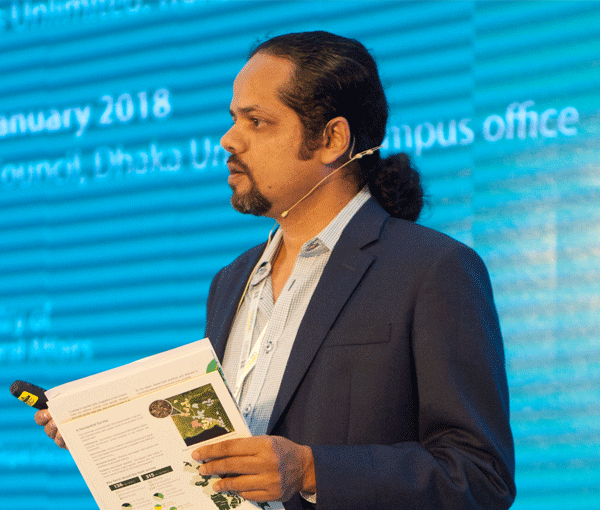 Syeed Ahamed, CEO of IID, shared the journey from library landscape assessment that paved the way to the Library Unlimited project that’s going to transform the public libraries around the country, where IID is a policy partner. 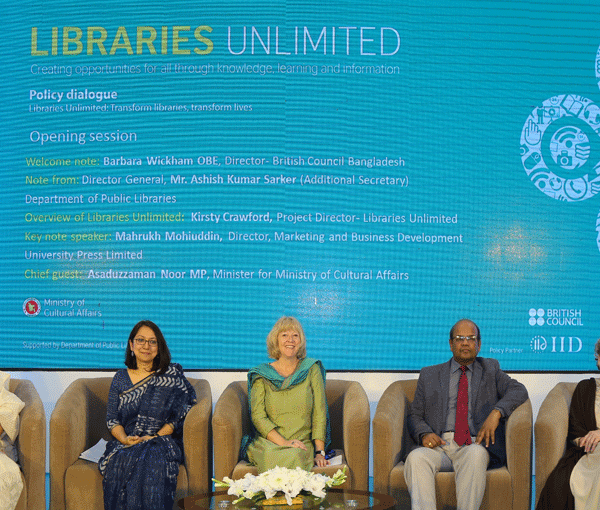 The purpose of the symposium was to bring together top level policy makers and thinkers to have a dialogue around prioritizing services for public libraries and how to transform these libraries to make them more equipped to meet today’s demand for information and knowledge. 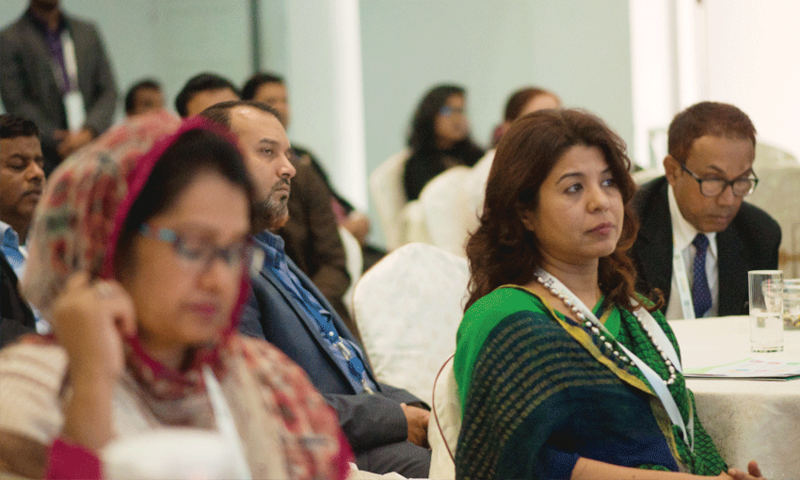 This final phase of the series of consultation with various stakeholders was an attempt to develop a Vision Document for government of Bangladesh which will include recommended service suite along with necessary policy recommendation for a more modern public libraries in context of Bangladesh. 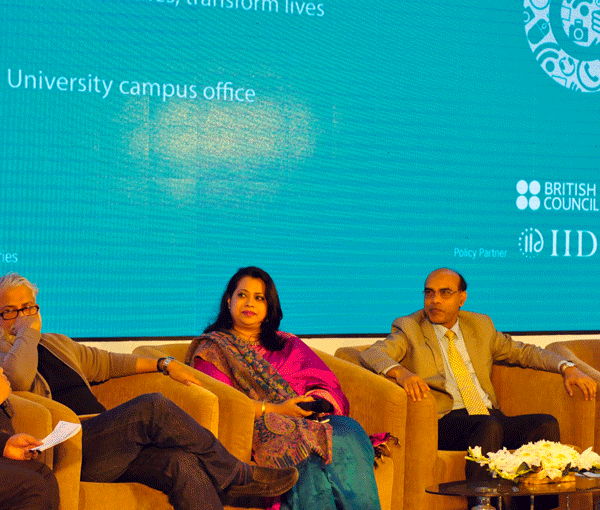 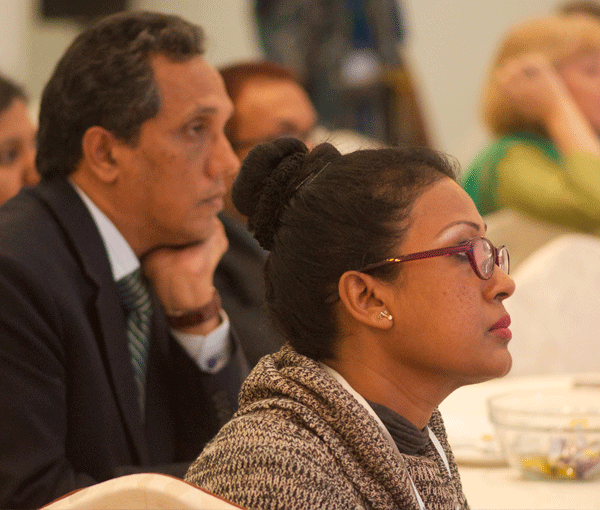 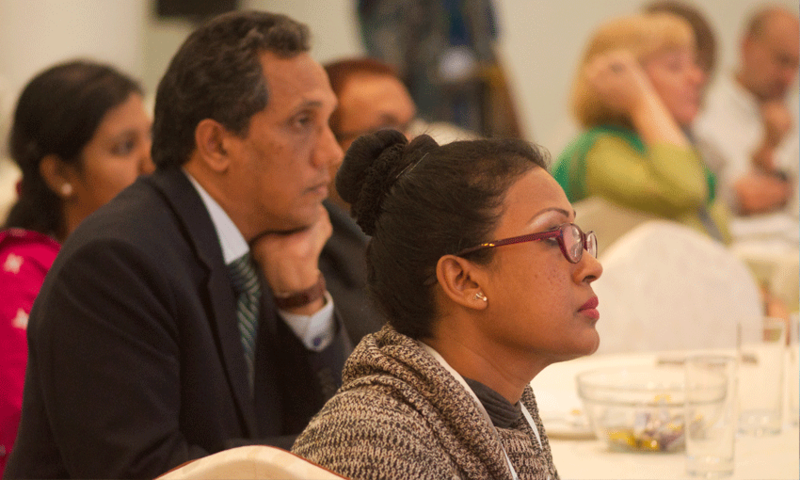 The dialogue on ‘Libraries Unlimited: Transform libraries, transform lives’ held on 23 and 24 January 2018 at British Council Auditorium and was jointly hosted by the British Council Bangladesh, the Ministry of Cultural Affairs and IID. 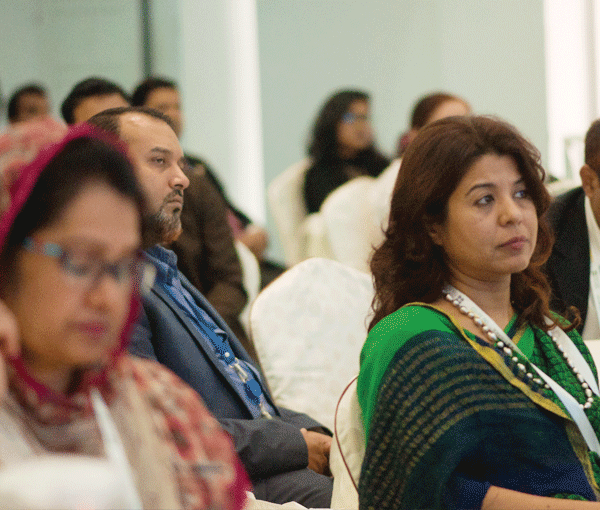 Among others Director of British Council Bangladesh Barbara Wickham, Director General of Department of Public Libraries Ashish Kumar Sarker, Project Director of Libraries Unlimited Kirsty Crawford, Director- Education Programme of BRAC Safiqul Islam, and Country Representative of The Asia Foundation Sara Taylor attended the session.